After a long career in finance and more than a decade coaching financial advisors, Peter Seyler is proud to announce that he’s expanding his coaching efforts and opening The Growth Coach of Allentown. The Growth Coach is the largest provider of affordable group coaching workshops in the nation, but coaches also offer one-to-one coaching services, remote coaching delivered via phone and web, and coaching for special projects as well as alternative financing, business valuation services, sales mapping and more. Clients include the owners of small- and medium-sized businesses, management teams, sales teams and self-employed professionals among others. The Growth Coach of Allentown serves Allentown, Bethlehem, Center Valley and other communities in and around the Lehigh Valley. “I have had the good fortune to work with a diverse group of financial advisors from all across the country and, while their needs were unique to them, I have taken great pride in helping them build businesses and meet the needs of their clients. I decided to launch The Growth Coach because it gives me the opportunity to widen my scope and use my experience to help business people from all industries,” Seyler said. “I’ve been in financial services for all of my adult life. I’ve always been drawn to business and The Growth Coach spoke to me. This is the perfect way for me to fuse my skills and ability to work with people into a more fulfilling career,” Seyler added. In addition to his experience working in the financial services industry, Seyler’s expertise in business development has afforded him the opportunity to speak at many events and serve on multiple investment committees. 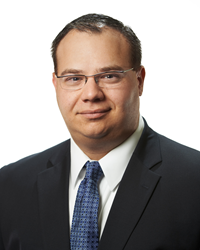 Seyler earned his Bachelor of Science degree in finance from the State University of New York, Empire State College, and he lives in Schnecksville with his wife Heather and their four children. As a Growth Coach, Seyler is also certified in The Strategic Mindset coaching process, which adheres to the standards, practices and policies that the International Coaching Federation as set forth in their Code of Professional Standards and Ethics. Seyler is hoping that his new role as a small business owner and Growth Coach will help him make a lasting impact on the business community as well as each individual client. For more information about how The Growth Coach of Allentown can help you and your business, call (484) 971-4044, email pseyler@TheGrowthCoach.com or visit http://thegrowthcoachallentown.com/.